Wilford Woodruff, Sr., 1807-1898. 4th President of the Church of Jesus Christ of Latter-day Saints, 1889-1898. Extremely rare Manuscript Sentiment Signed, Wilford Woodruff, Salt Lake City, Utah, January 16, 1895. With original typed letter of provenance by George Francis Gibbs, 1846-1924, Secretary to the First Presidency of the church, signed Geo. F. Gibbs. This is an extremely rare Mormon relic. We have found none of Woodruff's autograph material in auction results over the past 38 years. Woodruff is the man responsible for leading the Mormon church away from the practice of plural marriage. Woodruff practiced plural marriage himself and had at least five wives, although not all of them concurrently. He spent years evading prosecution for polygamy. After the United States Supreme Court upheld the Edmunds-Tucker Act, which disenfranchised the church corporation, provided for seizure of the church's property to the government, and led to the arrest of many prominent polygamist Mormons, Woodruff signed the 1890 Manifesto testifying that the church had ceased teaching the practice of plural marriage. The Manifesto made it possible for the Utah territory to become a state. 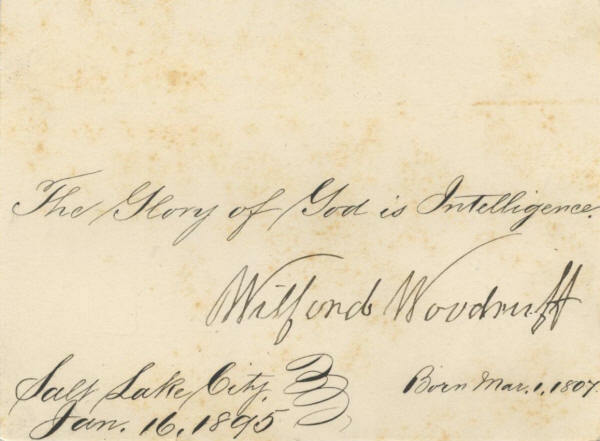 This card is inscribed in another hand with the phrase “The Glory of God is Intelligence." 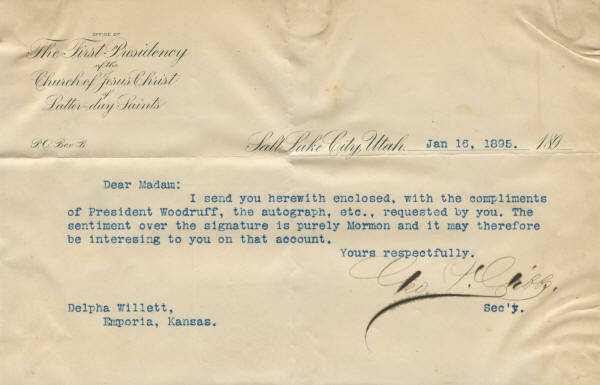 The accompanying cover letter from Gibbs says that the "sentiment over the signature is purely Mormon." The phrase comes from the Mormon Doctrine and Covenants 93:36, which states that the "glory of God is intelligence, or, in other words, light and truth." 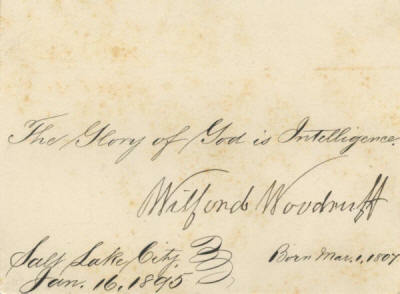 In addition to the place and date, the card notes that Woodruff was born March 1, 1807. He thus was nearly 88 years old when he signed this card. Woodruff joined the Mormon church in 1833, at age 27. By age 32, he was a member of the Quorum of the Twelve Apostles. Beginning with his baptism in 1833, he kept a daily journal of his life and activities within the church. The journals were perhaps his most important contribution to the Mormon church. He served as assistant church historian from 1856 to 1883, when he became the eleventh official church historian, a position that he held for six years. Woodruff became the president of the church in 1889. His presidency was known for missionary and temple work. Woodruff dedicated temples in Salt Lake City and Manti, Utah, and, emphasizing the value of historical record keeping, oversaw organization of the Genealogical Society of Utah. Woodruff has boldly signed this 2⅞" x 3⅞" card in black fountain pen. The card shows moderate foxing, and there are mounting traces on the back. Overall it is in fine condition.  The accompanying letter of provenance has horizontal and vertical folds and shows some wrinkling. Overall the letter is in very good to fine condition.